Now and then our artist friends from abroad come to visit the Nordic countries and we are happy to help them find their way around to soulful gigs. 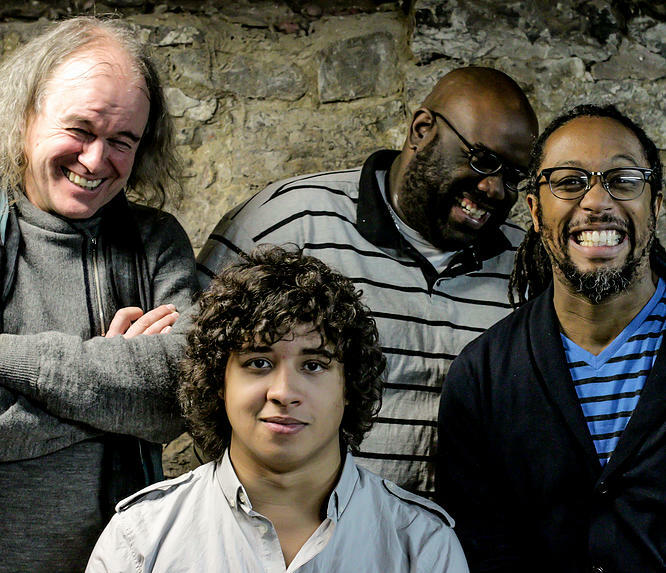 Over the last few years, GRÜVOLOGY has been recognized as one of Western New York’s most interesting ensembles of jazz music, writing and performance that spans the spectrum from the earthy blues and gospel to the r&b inflected swing and the ethereal and open floating free improvisation. Welcome to get in contact with us if you are interested to have them at your festival or jazz/blues club in the summer of 2016! 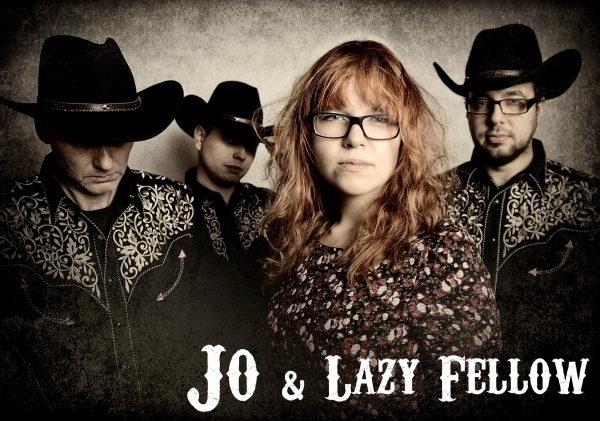 Jo & Lazy Fellow is a country-rock band travelling with their music all over the world. In the last few years they have played at festivals and clubs in Belgium, Netherlands, Germany, Switzerland, Sweden and Poland. They focus mainly on their own melodic original material, but you will also hear songs by Johnny Cash, Bonnie Raitt, Dolly Parton or suprising versions of Michael Jackson and The Beatles. The charismatic vocalist, crazy guitar player and excellent rhythm section create a great slice of American music. Welcome to get in contact with us if you are interested to have them at your festival or venue in the summer of 2016! 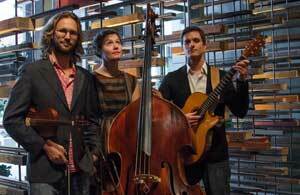 Renowned acoustic chamber-folk trio The String Contingent are headed for Scandinavia in the 2016 summer season. Australians Chris Stone (violin) and Holly Downes (double bass), with Scotsman Graham McLeod (guitar) have developed their sound over four albums in five years, to reach ‘…the upper echelon of instrumental exploration, arrangement, composition and performance…’ (Tony Hillier, Rhythms Magazine). The String Contingent combine their diverse musical backgrounds in celtic, classical, jazz and pop into melodic, evocative, exciting and poignant musical discussions or ‘trialogues’. Their music “… brings to mind the bluegrass records of Yo-Yo Ma and Edgar Meyer. Welcome to get in contact with us if you are interested to have them at your festival in the summer of 2016!